The links below take you to poems and prose memoirs lower down on this same page, so you can browse from item to item without needing to leave and reload the page. Harriet Tarlo, poem: title necessary? 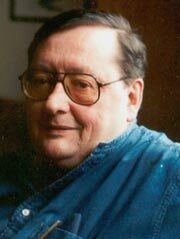 Richard Caddel was a poet and a champion of poetry as publisher, editor, anthologist and organiser. That he was not better known is perhaps due to a predilection for ‘edges’, those areas marginalised by geography, commerce or choice which his friend and fellow poet Jaan Kaplinski called the ‘wandering borders’. Caddel was born in 1949 and grew up in Gillingham, in Kent, and went to read Music at Newcastle University, soon adding English and History. Basil Bunting was then the university’s Poetry Fellow, and to one who had, as he later said, ‘started reading and writing poems for the excitement of the physical impact of words joined together’, Bunting’s example, and work, was a revelation. Caddel began to realise a poetry rich enough to mirror the actual world, compositionally complex enough not to need an external music. In 1971, the year he graduated, Caddel married Ann Barker and after training as a librarian took up a job at Durham University Library. This was the time of the ‘British Poetry Revival’; the North-East was active in its own right, and Caddel was fundamental. He assisted Connie Pickard in running the Morden Tower reading series; he and Ann started their poetry imprint, Pig Press. After some years commuting from Newcastle (his early poetry runs to the rhythm of local trains) the Caddels, with two young children, Tom and Lucy, moved permanently to Durham, where he set up the Colpitts reading series. Pig Press went on to produce many important and beautifully designed books from poets well and less well-known: Tony Baker, Robert Creeley, Roy Fisher, Lee Harwood, Barry MacSweeney, Carl Rakosi, Colin Simms. A poetry that in lesser hands might have been merely private or occasional was made able, through the generosity of attention to human detail, to speak in a wider social space. This work is gathered in Sweet Cicely (1983). His next major collection, Uncertain Time (1990), reflects the politics of the 1980s, setting ‘the realm of / false, muddled argument’ against ‘that contact / with the world in which / (for which) / I live /...’, the small delights of ‘voice, steps / little gusts, plants, things // we love in balance’. 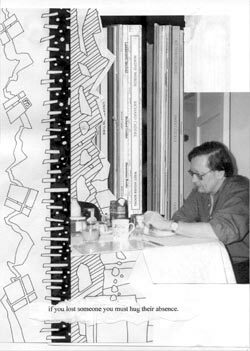 In the late 1980s Caddel took over the library’s European Documentation Centre. This provided opportunities for foreign travel – and meeting local poets, fruitful contacts which led to readings and publications. When Durham University acquired Bunting’s papers, Caddel was instrumental in establishing the Basil Bunting Poetry Centre, which promotes academic research and living poetry, hosting readings and lectures by the likes of Robert Creeley and Eric Mottram. With commercial interest in Bunting’s work waning, Caddel’s compilation of Uncollected Poems (1991) was an important piece of rescue archaeology which enabled his editing of Complete Poems (1994). An enduring outcome of Caddel’s commitment to contemporary writing is the acclaimed Other: British and Irish Poetry Since 1970, co-edited with Peter Quartermain (1999). A larger readership on both sides of the Atlantic could now encounter a poetry other than that of commercial, ‘high-street’ presses. A broader poetic community was also reached by Caddel’s founding, in 1996, the first e-mail poetry listserv in the UK, ‘British and Irish Poets’, which he co-ordinated for five years. ‘signal / towards an unknown’. Richard Ivo Caddel, poet, publisher and editor: born Bedford 13 July 1949; staff, Durham University Library 1972-2000, Director, Basil Bunting Poetry Centre 1988-2003; married 1971 Ann Barker (one daughter, and one son deceased); died Durham 1 April 2003. Reprinted by permission from “The Independent,” Obituaries, 11 April. 2003.
well, dang me, I re-read ’em too, and will stake mah slimetrail on ’em. Having said this, the garden is at present littered with fragmented snailshells as thrush parents teach the younguns the art of fine food... Sat and watched as one young fellow zipped across and popped one before my very. Eh, it’s tough when you support both teams. This is Ric, not the Richard who would have gone into print, but it’s the same man. Good-humoured, attentive to detail, witty and aware of the vulnerabilities and conflicting currents of sympathies which filled his days and between which he quite deliberately chose to negotiate his terms for things. Snails were bound to appeal to him: they move slowly - as he did, for he rarely enjoyed good health having been handed asthma and a fragile frame at birth — they do all with seeming deliberation and live along the margins of open spaces where their own fragile frames offer protection against most things except brute force. They’re emblematic of that affinity with borders and border creatures that Caddel made a primary political and aesthetic concern in his writing. It’s not by accident that his work has been translated, not into the more likely European languages, but principally into Czech, Estonian, Lithuanian, Polish and Dutch, regions either linguistically enclosed by more dominant tongues or sited on the frontier between an east and a west where local cultures have a long history of vulnerability to distant, dominant forces. It’s the same affinity that allowed Caddel to identify with, and make his home in, the north-east; or more specifically that reduced part of the old Northumbria which approaches the Borders — the land extending from Lindisfarne, through the dales and hills as they fall into Cumbria. Born in Bedford in 1949 and brought up in Gillingham, he came to Newcastle as a student in 1968, studied music, english and history, subsequently qualifying as a librarian, and never again left the region. His meeting with Basil Bunting who was the university’s poetry fellow at the time, was perhaps decisive in forging his links with the north east, for Bunting was not only an inspiring teacher whose poetic methods of musical economy were perfectly suited to Caddel’s natural inclinations; he was also a determined champion of what became a central concern in Caddel’s own writing, ‘the local’. If this contact ultimately led to one of Caddel’s most enduring contributions to the north-east — his editions of Bunting’s Uncollected Poems in 1991, Complete Poems in 1993 and his part in the establishment of the Basil Bunting Poetry Centre at Durham, of which he remained a director to his death — Caddel was always wary of too much talk of ‘influence’. He was aware that for the traditions of ‘the local’ to mean anything — and he would have applied this to any version of the local, whether that constructed by his friends and fellow-writers on the European frontiers or that of Lorine Niedecker, whose writing he loved, on the shores of Lake Superior — then it had to be part of ‘a living, evolving tradition, or it’s nothing’. In all he did, Caddel worked from the immediate and local outwards: it was a quite deliberate, almost Confucian resolve — if, as a writer, he could find things to say, he could only say them through the things he lived with and deeply knew: the bees that nested in his chimney, the plants that grew in the crack of a step. Above all, the local was a human notion: it meant the friends and family with whom he shared his life. He married Ann as a young man and she, with their two children, Tom and Lucy, are the single, most strongly-felt and mediating presences in his writing: they are I suspect the epitome of what he would have meant by ‘a living, evolving tradition’ — they were the context in which locality, with all its larger historical and social meanings, acquired human value. Caddel was a quiet, decent, determined man who resisted drawing attention to himself; he knew his worth so could be cheerfully self-effacing. When I wrote to him once over a translation which I knew I was barely able to make, suggesting that we work on it ‘without reference to anyone who knows what they’re talking about’ his reply was: ‘what can I say? Finally a job emerges for which you and I can apply with all the qualifications . . .’ But his modesty can’t mask the range and bulk of what he achieved: as a poet he has left a score of collections, culminating in Magpie Words, Selected Poems 1970-2000; as a publisher from the Pig Press that he ran with Ann, he issued dozens of titles from known and lesser known writers over 30 years, all in editions whose design was elegantly tailored to the work in hand; as an editor and anthologist there is his work on Bunting and two major gatherings of contemporary writing, the most recent and comprehensive being Other, British and Irish Poetry since 1970 which he edited with Peter Quartermain; as a co-ordinator, he created the first e-mail poetry listserv in the UK in 1995; as a librarian at Durham University, his negotiating skills led to his role in the European Documentation Centre, which in turn led him to make the many european contacts which enriched his work. Negotiation was essential to Caddel: it was as fundamental to his technique as a poet — indeed he once suggested ‘the only thing that’s important is that sense of negotiated space where writer and reader interact’ — as it was to the way he approached his days. His asthma meant that, in a literal sense, his very breath was sometimes negotiated with difficulty, as is evidenced in the way he often lineated his poems. He created by negotiating with experience and would turn it, think about it, model it until it had only the most purposeful, human resonances. How hard this must have been in the last years of his life is impossible to guess. His son Tom’s accidental death following a fall from a stairwell while at university was the only part of his life of which he was willing to admit insuperable regret: from it he nonetheless made one of the most extraordinary contemporary elegies, a reworking — ‘translation’ is hardly the word — of the old Welsh poem Y Goddodin that is itself an elegy for lost sons slain at the battle of Catterick. Even the leukaemia with which he was later diagnosed and which he knew would eventually kill him didn’t deflect him. He clung on to his good humours and simply refused to have his vision distracted from the things he cherished: the darkness of his last years he consciously chose to illuminate with a light heart. Forced to have his arm in plaster following a recent fall which made writing difficult, I wrote to him thinking the cast had been removed, ‘hope deplastered’. His reply: ‘ sounds like the title of an 18th cent verse epic of anglo-paladianism... the plaster stays on another 2 weeks yet . . .’ He loved life enough not to throw complaints at it. And his concern for those who remain was such that he made every effort to ensure that they knew it. In a rare and very lovely way, he managed a resolution with life that meant that while he would gladly have settled for another fifty years — even those wouldn’t have sufficed to taste all the whiskys he wanted to try — he was able to accept his own mortality. He transformed it into one more affirmation of life. Many memories come of visits to Durham and Ric’s great kindness to me and my husband, Mike Heller, expressed in the gentle, direct yet unassuming manner that marks Ric’s poems as well. He generously exerted himself for us, concealing the limitations on his strength, to show us the north country he loved and the sites that moved him. There’s a photo of him and Ann with Tom and Lucy as children standing on Hadrian’s Wall. He drove us there so that we could walk where the Romans walked and mingle our history with theirs on the boundary of encounter between the Latin and Anglo-Saxon cultures that gave birth to the English language. He took us to Briggflatts to the plain low-ceilinged Quaker meetinghouse, in use since 1640, where Basil Bunting’s book lies open on the wide windowsill, inscribed by the poet in gratitude to the Friends and their tradition although he hadn’t joined them. We stood in the ragged grass in the Quaker cemetery to contemplate Bunting’s half-hidden grave, a kind of stubbornly lasting counterpart to the poet’s book. Another day he took us to a little moss-covered Norman church on a patch of lawn incongruously half-surrounded by new suburban villas. It was a little, narrow, high-windowed place, only recently rescued from dilapidation, no stained glass or fancy altar, not even pews, just plain wooden chairs. But a few of these had cushions with new bright beautifully hand-worked needlepoint covers, a sign that someone — one woman at least — is seeing this modest place as important and worthy of attention. He appreciated these old history-laden sites and their associations, their simplicity and unobtrusive beauty, perhaps as emblems of poetry itself. Poetry can be seen as an ancient tradition sometimes near dilapidation but clung to in remote places and solitary minds, sustained and influential, the living presence of the past that animates the ongoing world. So it is with Ric now. with celery. So that about wraps it up for enlightenment. lived high off the hog. Ric published my book TCL in 1989, this is how I first came to know him. With typical generosity he went on to involve me in several anthology projects and the first Basil Bunting conference in Durham. In all my dealings with Ric I found him generous, good humoured and disarmingly modest — rare qualities in the poetry world. I could have waited to see him go as poet and publisher, several decades in the future might have approached acceptance of his death. Thinking of him as a kind and gentle man, a poet who delighted in the world of the senses and whose thought was always fresh — I remain envious of his good ear — his absence comes too soon. It was Ric’s hearing of the world that delighted me, called my own often wandering attention to what there was to be heard and in that way be measure. It is so hard to get out, as it were, to come into that physical, insistent, reifying place, otherwise and evidently so simply there. Allen Ginsberg’s early wish ‘to return to the body where [he] was born . . .’ was one I much shared with him, as did we all in spite of the seeming differences. We were often so desperately ‘minded,’ so much in our so-called heads. A dear fellow poet as Ric could at least remind us of the physical terms of our art, of how words made a rhythm, how their lengths and pitches could be an enduring fabric. No wonder he attended to Basil Bunting’s remarkable legacy to British and all poets with such care. His was an art of very parallel and defining character. I’ll most remember times I stayed with him and Ann and their sweet family, Tom and Lucy, at their row house at Neville’s Cross at the edge of Durham. Once we walked into town and took a local train up a ways to the north, where we got off and then hiked back on a modest road through seeming woods, passing at one point a wonderfully bedraggled mansion with real court and impressive if crumbling stonework. Something began to scream at us harshly, and then we saw it was a peacock, like a displaced king, perched on the battered wall surrounding. A little later we stopped for a classic tea at a wayside pub and I felt I had entered a bewitched and time-altering world, thanks to these generous friends. Ric was a compact and concentrated man, not easily distracted if sometimes quietly contesting. He held on, undaunted, for years — in the pioneering work of his Pig Press and its support of his fellow poets, in his exceptional effort to create and then secure a center for Bunting studies — in all that he undertook despite his resources were modest, his family defining his most present company, his employment often unintentional drudgery and his colleagues sometimes questioning of all that he, in fact, was. And make sure that it’s old and rare. These are your themes to sing tonight. On tripping little wanton feet. Her gold-embroidered — Oh! You fools! As I’d forseen it long before. The event of death often engenders praise and elegies beyond the pale of reality — death is facing us all and we would want the same — but my feelings about Ric Caddel have not changed a whit in over twenty years, and not even my profound sadness over his premature death can cause me to exaggerate them. In his case, hyperbole is out of the question. He approached life with a sharp, avuncular eye, always with tolerance and friendship, putting the good face on everything, but less as an optimist than a hopeful realist. He was an extraordinary, generous human being who helped and encouraged many writers, changing their lives for the better with his presence and attention. I am one of those, and will miss his voice for the rest of my days. Richard Caddel: brilliant and singular poet, consummate family man, dedicated publisher, musician, librarian, naturalist, and irreplaceable friend for all of his many friends. what of this is yours? Ric’s mind was settled early and without fuss. I first heard from him when he invited me to give a Colpitts reading soon after he’d started the series, and the undogmatic, uncluttered assurance of his outlook was already apparent. For a later visit he produced a flyer with a few of my poems. The cover reproduced an antique line drawing of a group of well-grown, complacent-looking onions. Without being told, he’d gone to my favourite and most appropriate vegetable. I asked him where he’d found the illustration. ‘In a book of onions,’ he said. And there you had it. He was a man who knew there were books of onions, and that was that. 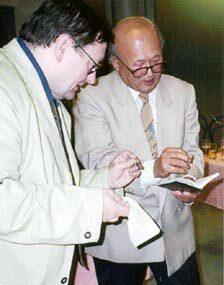 As an editor and publisher he treated me perfectly. He would propose an available space, somehow get me to feel it would be safe for me to occupy it, and then simply clear off. In this way he was able to generate several pieces of mine which would otherwise never have come about. And on every occasion he did the decent thing and accepted what I sent, whatever my misgivings might have been. He’d been gambling too. Ric’s arrival in poetry by way of music was a prophylactic against literary yapping and snapping; it informed his own writing and was an abiding presence. The last extended conversation I had with him concerned the keyboard eccentricities of Sviatoslav Richter, Glenn Gould and the late Mr Monk. On the previous evening I’d been reading for the Bunting centenary and had been leaned on to play a short slow piece, all I could trick past my partially-paralysed right hand. For this small task, worth a church hall upright at most, he offered me choice of two concert grands: a biddable Steinway and a monster Bösendorfer. ‘That one,’ he said, ‘goes off like an express train once you get it started up.’ I chose the Bösendorfer. Afterwards, I apologised to Lucy Caddel for the absence of decoration in what I’d done. ‘Oh, it was good to hear the basics,’ she said, exercising something stronger than mere tact, and probably hereditary. Our last encounter of all was, somehow suitably, quite spectral. In the autumn of 2001 I was making daily visits, miles from home, to the hospital in Sheffield where my wife Joyce was having the surgery from which she would eventually fail to recover. Her ward shared an entry corridor with its mirror image opposite. Walking out one afternoon and glancing through, I briefly saw silhouetted against a distant window a figure which would have been Ric’s had it not obviously been that of a ward attendant carrying a broom or something similar. Shortly after that I received an email which began: ‘As I shambled — leaning hard on my stick — into Sheffield Northern General Hospital the other day, I saw a figure — also on stick — moving in the opposite direction, which I thought might be yours, but my mind was woolgathering as usual and by the time I’d surfaced you - or your döppelganger - had cornered out of view.’ The Caddels, many more miles from home than I was, were visiting Ann’s mother who was lying a few yards from Joyce in what was also to turn out to be a final illness. Ric went on to ask: had I in fact been me? I had to agree it was a possibility. That something so tentative as the love of difficult radiance — a poetic diction, in this instance, the gnarly chewy passion of Basil Bunting’s atonal chords — could bring us to this shy, generous friendship: a few brief letters and poems exchanged, this conversation around the kitchen table in Durham, with Lucy working on her cardboard model of a large water conveyance with prow and oars, meant as prop for her play, and Ann, in the other room, sewing costumes for Durham’s annual theatre event — initiated from the love of words and their events claiming the center stage of this family. Ric ever-present but not in the director’s chair, watching, commenting in soft drolleries back & forth with rosey pride in the life energy of these women, his family-minus-one, around him unfolding. His eyes, alive. A little after, reading at the local book store, or was it the amazement of stars so close in this immense tiny place, us sitting on the back steps and watching the fireflies, all of us later walking down the alley to the pub, bringing again into focus the presence of Tom — Ric & Ann’s son, Lucy’s brother — then dead just over a year. I cannot remember Ric’s precise words that night, neither inside the circle of family light nor outside in the private dark. Or, rather, I cannot separate his gentle speaking from the unfold of this impossible loss as he tried not so much to make sense of it as to look at it face-on and to find how to begin from that severed limb, to fit himself there: a man whose son was ripped from him like a sudden tear of perfect scarlet silk, never to be mended. He must rage, yet sing it with a severe & riveting cadence — invented brilliance of the almost unheard — before the immense gap of the cosmos: as his elegy for Tom gives way to a poem in-love-with-Ann that springs open to embrace Lucy’s livingness — each separately unspooled and again contained in how Ric and his words lodge in us, claiming their essential home and chime: to love, coil, explode and return to that terror gift, the live coal he places in our hands. My main impression of Ric is of the sheer volume of effective energy - a full-time job and a family, merged with his pioneering of the Basil Bunting Centre at Durham University, editing Basil’s work, running his own small press (a valued member of the Association of Little Presses), and then his own writing, and compiling anthologies, arranging events and readings. . . Friendly and cheerful as a companion, and serious and reliable as an organiser; with no little effect on the literary shape of the North East and the wider scene. one of your heroes, that New Jersey quack! to differ else concourse would sound so bland. a pint half empty in your hand. us treading on a more exacting path. to Wistman’s Wood and talk as spirits talk. blue as the flash on a magpie’s wing. I first came across Ric Caddel some time in the late seventies. Through browsing the shelves of Compendium, I had registered Pig Press, which Ric ran with his wife Ann, as the publisher of well-produced volumes of always interesting poetry. Gael Turnbull, Roy Fisher, Pete Hoida, Eric Mottram, Iain Sinclair, Chris Torrance, Ulli McCarthy ... and, above all, Lee Harwood. Freighters, Old Bosham Bird Watch, All the Wrong Notes with texts by Lee Harwood and Judith Walker’s black-and white photos of Brighton. I was particularly pleased, then, when Ric accepted some of my own work for publication. A Feast of Friends was published in 1982, and, thereafter, Ric and I remained (loosely) in contact. I was conscious of how much Ric was doing in the North-East — not only as a publisher but through the Colpitts Hotel readings and later as the Director of the Basil Bunting Poetry Centre — but we only met when Ric was attending events or readings in London. Ric was unfailingly generous and courteous, characteristics which also marked his later curating of the British and Irish Poets e-mail list. Ric’s collaboration with Lee Harwood in the roman devin, Wine Tales (Galloping Dog Press, 1984), a series of narrative interpretations of wine-bottle labels, displayed another aspect of his character: the wit, intelligence and playfulness that remain part of my sense of Ric. Your car chugging up the pass into snow’s unseasonal bursts, the bright sun shining over our heads, then a plunge down through flurries to Bunting’s grave. Stone of Quaker plainness, hard as speech, austerity of row upon row, all buried barely above anonymity. In the meeting house, the old poet’s petition for the congregation’s forgiveness. Watched you walk among those graves. Always the short man, elm’s rooted trunk or northern stone pillar. Always a delicacy in your lines, your speech and person. Your love of music informed the language, gravity’s surge and mockery, grief-tinged, shaped-cloud, passing thus over landscape. Ground currents animating a shared earth. This piece is 600 words or about two printed pages long. 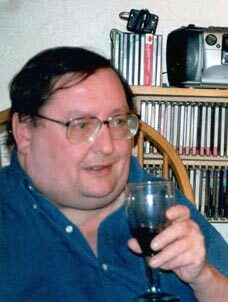 Richard Caddel is an English poet who comes to us from Northumbria where he has been on the library staff of Durham University since 1972. But he is no stuffy librarian, no despiser of jazz, like that famous English poet-librarian from Hull, who shall remain unnamed. To the contrary! Over the years Caddel has been a firebrand poet and reader, a publisher and scholar. In 1973 he and his wife Ann founded Pig Press which over the years has managed to publish, against all economic odds in Thatcherite Britain, an array of younger experimental British poets — a major service to the community of those who think & read. 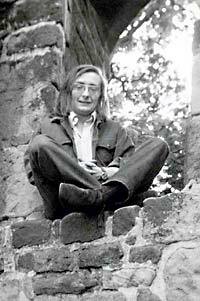 An enthusiast for the live art of poetry, he organized the famous Morden Tower readings in Newcastle for several years, and in 1975 founded the Colpitts Poetry readings series. Friend, admirer & student of the great Northumbrian poet Basil Bunting (1900–1985), he organized the Great Celebration in the latter’s honor in All Saints Church, Newcastle in 1986, & the following year became Secretary of the Basil Bunting Archive at Durham University where he has also been Co-Director of the Bunting Poetry Center since 1989, while editing several of the great Northumbrian modernist’s books, most recently the Complete Poems, published by Oxford University Press in 1994. Maybe Carl Rakosi is right when he sees Caddel as ‘a kin to Herrick,’ though it seems to me that Wyatt is who Caddel goes back to, again and again, the sharp turn, the music, the accurate placing of syllable after syllable. When Richard Caddel was to come to Druskininkai Poetic Autumn in 1998, Kornelijus Platelis asked me to translate some of his poems. Richard was the first British poet to participate in the Festival, and also first British poet I have translated (before that I had only W.B Yeats and e.e.cummings on my count). I was impressed by the formal and thematic acomplishmentof his texts; these quiet poems, with words rising as if directly from silence and falling back again into it. In Lithuanian poetry we have quite a lot of good poetry of such kind, so it was a pleasure to translate it. I met Richard only twice. In Druskininkai we came together to discuss the translations; he said he was fascinated by the festival, but especially by the pine forests surrounding Druskininkai. These, he said, he missed in his home city. Later on, in Vilnius we met in a cafe, and he suggested he could translate some of my poems. I had sent him some of my texts, roughly translated into English, and we exchanged a couple of emails. After some time Richard’s e-mail fell silent, but I knew from Kornelijus, that he had fallen seriously ill. Together with the whole Lithuanian community of poets, I feel very sad about the death of this gifted British poet, Richard Caddel. 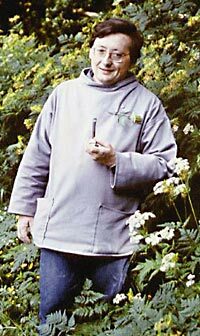 Love, song and flowers: a combination partly out of Zukofsky, who took parts of it from Dante. Words considered as a train of evokers of sharp atmospheres from small collisions (pollen of a flower when you knock it); not as adding to a statement you could (Shut that door! Remember the Alamo!) do anything about. Ric was the finest flower of the gospel of the sacredness of the unique: of its being, not of its being part of a scheme or what is called a metaphysic. This being could not be caught in anything less finely organized than a poem. Hence the dedication of a life to fostering poetry. This he did with energy and courage; retaining always the essential sense of humanity and of what it is all for. It is easy enough to retain this sense if you are a frog by a pond, and never try to get things done. But then it is only verbal. What it is all for: that these institutions we set going, or are a part of, in order to get things done, do not exist for themselves, or for their interaction with a lot of other institutions, or people who are parts of them (or would like to be). The whole thing is justified only if it fosters a fullness of being — through poetry, or whatever be the immediate means one has chosen. Ric fought very hard not to let his work be deflected from that aim. ...the only recorded function of the psyche in relation to the living man is to leave him. a panic crop tricked on bleeps and sighs. a smithereen of life keeps you there. where tower and stump are equal. the drumming hush of no sleep. I first met Ric when I was part of North and South press and we published ‘Against Numerology’ in 1987. In the early days of the British and Irish Poets mailing list we were also frequently in contact. We discussed the importance of communities in our lives, including the community of interest with other writers ,which is mainly sustained through correspondence, and occasional meetings at public readings. However, in November 1999 I was in Durham with Elizabeth James and Harry Gilonis. We were keen to go for a walk and Ric suggested a route of about 8–10 miles along the Weardale Way, and he drove us to the starting point. of laughter & of talk. Cuthbert motions toward the boat. the throat dissolves to smoke. rising brightly, above all loss. Tonight I listened to Berlioz’ La Morte d’Ophélie in memory of Ric Caddel who died yesterday. I listened to all three recordings I’ve got: choir and piano, choir and orchestra, solo and orchestra. And I thought that the little four-note motif that Berlioz devised, repeated again and again at the top of the texture, representing Ophelia’s song as she... You remember, she floats downstream singing, supported by her billowing robes. I thought this motif was very like the one Nino Rota supplied for the trumpet in La Strada, though I haven’t seen the film for many years. If I remember rightly, it was all she could play, the little, pathetic, impaired girl who died... She was dumped in some seaside town and someone looked after her for a while and she spent most of her time sitting outside playing this motif over and over again, and then she just died, of nothing, she just floated away because she couldn’t stand the fact of cruelty, its being in the world. And he thought he heard it, didn’t he, in the distance after she’d gone he was drunk and knocking over oil cans in rage and ended up sitting on the shore at night sobbing, and that little motif on the trumpet was . . . not heard, but it was there. Her robes became heavy, steeped in water, and that which had supported her dragged her under. Ric was uneasy about the title of this poem I remember. He wouldn’t come out and say so directly, of course. But I could sense some reserve. The fact was, that from the back of Cross View Terrace you could see a mile or so across to Langley Moor, a pit village where my grandfather was a pitman for most of his life and where I spent a good deal of time as a child. Ric and I walked down that long steep hill a couple of times but we never got as far as Langley Moor. A pub always intervened. By 1981, when I drafted this poem, Ralph Seed had been dead for a decade. And the world of my childhood seemed long gone. So it was a poem about death and about the disappearance of the past (and of the poet). And it was evoked by that particular wintry landscape on an actual January day when I looked out of that particular window. I also liked the several connotations of the name ‘Cross View’. Now the death of Ric, who I knew for 30 years, forces me to read this poem in a different way. The words on the page are the same. But it is now a different poem. Ric was born four days before me in the year that Geoffrey Grigson’s Poems of John Clare’s Madness was published. We once talked about Edward Bond’s The Fool, which I had seen at the Royal Court. Beyond this we shared an interest in Byrd and Bartók. (I could number on the fingers of one hand the people who have sat through Bartók’s string quartets with me without asking for the plug to be pulled.) Ric was to have been a collaborator on Days of ’49, but when Alan Halsey and I were some way into the project Ric sent me a card saying, ‘When you get to my age, you know, your brain seizes.’ He was devoting himself to other, significant writing, and no doubt made the right decision. Alan and I were, nevertheless, amused by this assessment of memory possibilities from the first six months of a life. The card portrayed Basil Bunting and his father in 1916, (coincidentally) the year that both my parents were born. I offer this poem as a marker of my sense of loss but also as a tribute to the work, both creative and editorial, which endures. Without wishing to privilege generation above generation, I would argue that there is a specific historical and social thread which makes Ric Caddel the editor of Basil Bunting and the author of Rigmaroles and ‘Wyatt’s Dream’. I knew Ric for almost 25 years, long enough to have babysat Tom and Lucy. He was the last print publisher of my poetry when he put out a pamphlet of mine under his Pig Press imprint in 1987, and without his enthusiastic encouragement I would probably not have continued with my return to writing a year or so ago. It is a minor point, of course, but I feel cheated that he will not be around to see my return to print in the new issue of Shearsman. Even at a distance, and with long gaps between meetings, Ric was a quiet, calm, wise influence, not just on my writing, but on my life. His whetstone intelligence helped keep me sharp, yet was always carried humbly. Accusations that some levelled at him of arrogance seemed to me incomprehensible. His poetics was the most lucid and fundamentally sensible I have encountered; his ‘difficulty’ as a poet simply a natural aspect of life’s difficulty, not in any sense an adopted pose, as is too often the case in others. His response, both in private and in print, to the tragic death of Tom was quite stunning in its directness and its honesty. Personal knowledge may perhaps colour my response, but I have never read a more affecting elegy than For The Fallen. Characteristically, Ric spared himself nothing in the writing or publishing of a piece that is both savagely honest and unflinching good art. With Ric there was no division between the poet and the man. He was so warm, generous and honest as a friend that before the collection of his work in Magpie Words last year I had somehow managed not to notice that he had quietly become one of the two or three finest English poets of our times. His voice is unique and will continue to sing. I don’t think Ric ever knew how important or how remarkable he was. That was part of his importance and remarkableness. I will miss him hugely. I never met Ric and know a pitifully small amount of his poetry. I do want to offer something though. When I was seeking a home, if you will, in poetry I stumbled into the British & Irish Poetry List. Ric’s back-channel personal encouragements & his gentle chastisements of the list when it would episodically become unruly were reasons to stay there & be in community. On a one-hour radio program I do at the local community college I recently read ‘After Numerology’ & extracts from parts 1 & 2 & the whole of part 3 of ‘For the Fallen’. Lovely work. I filled the remainder of the program with poems by ‘Pig Press poets’ from my shelves — Guy Birchard, Roy Fisher, Lorine Niedecker, John Riley, George Evans, Tony Baker. That (very partial) list tells its own tale. I’m sending a necessarily brief poem for the occasion. the embrace of their airs. In the autumn of 1988 I was feeling depressed. There were a number of reasons; one being that I had just read Blake Morrison and Andrew Motion’s Penguin Book of Contemporary British Poetry. This was, I thought at the time, a representative sample of the national poetic effort, and it was clear to me that, on average, it was gutless, insincere, facetious, uninventive and dreary. No reason why I should have been depressed — I’m not a poet myself, and there are plenty of dead poets to read — but for some reason it got under my skin. I started scouring the poetry sections of book shops in the hope of finding at least some good poets. Before too long I was lucky: I put my hand on a copy of the Paladin anthology, New British Poetry. This proclaimed itself to be an antidote to Morrison and Motion, so I went to the cash till and paid. That was certainly the best consumer decision of my life. I’d only heard of one of the poets — Linton Kwesi Johnson — but I was soon hunting for books by Tom Leonard, Tony Baker, Lee Harwood, Denise Riley, Tom Raworth, James Berry, Bob Cobbing, Grace Nichols, Roy Fisher . . . The islands were full of good poetry, and it had been hidden from view by a genuine conspiracy. Of all these poets I’d never heard of, my favourite was Richard Caddel. I had the impression from the way he was described in Ken Edwards’ introduction that he wasn’t thought to be one of the leading figures, but that didn’t alter my response. His poetry had a purity of rhythm and a coherence of personal imagery that made it speak. Many of the other poets in the book were more inventive and took greater risks with language, but none had so clear and human a voice. When I came across copies of Sweet Cicely and Uncertain Time in Dillon’s, of all places, I immediately bought them, treasured them, and memorised large chunks of them. ‘What of memory/ a film not wound on properly/ cold daylight...’ I recited that poem to myself most days, and I always smiled when I did. I’ve just found the note you left at Amazon.com last year, mentioning your latest poetry collection, ‘Larksong signal’. I haven’t seen this in any bookstores in London, but would very much like to buy a copy. I note from the Durham University library catalogue that it’s published by Shearsman Books in Plymouth, but neither the Web nor directory enquiries have been much help in tracking this company down. If you could help in any way I would be very grateful. Your poetry has given me a huge amount of pleasure over the years. I got married last month, and we had that section from ‘Sweet Cicely’ which begins ‘All/the little things’ as a reading. ‘From Wreay Churchyard’ would certainly be no. 1 in a ten-year hit parade of poems recited inside my head. So many thanks, for all the hours I’ve spent chanting your words happily to myself. A couple of weeks later Ric told me that he was going to be in London on business, and he suggested we meet for a drink. I wasn’t going to say no, and so found myself nervously walking into the Lamb and Flag in Covent Garden, looking round for someone ‘short (around 5’6’) round and bespectacled’. There was only one contender, and he gravely lifted his pint when he saw me scanning the room. I wasn’t far down my first beer when I decided he was probably the most companionable man I’d ever met. Any worries I’d had that he might want to hear his praises sung were swiftly allayed. His main interest seemed to be conversation. But unlike most people who have a passionate interest in talking he wasn’t very interested in telling me his opinion about anything — unless I wanted to know, of course. And he was interested in my opinion only in so far as it fitted into the quiet, living flow of what was being said. Rather than an exchange of thoughts between egos, it was like drifting idly along in a warm stream of talk. He didn’t try to impress me, I didn’t try to impress him. We just chatted comfortably, as if we’d known one another for half a lifetime. This was a revelation to me; up to that point most of the enjoyable conversations I’d taken part in had been friendly occasions for showing off. I remember two things he said very well. Since I knew Robert Creeley and Eric Mottram were admiring readers of his work it wasn’t clear to me why he needed my vote too, but it was a deft way of making me feel appreciated. This was one of the longest conversations we ever had on poetics. It was typical of Ric not to answer directly; often his answers made you realise that you hadn’t asked the right question in the first place. And I should add, in case anyone starts writing him down as a nature mystic, that Ric was agnostic about agnosticism: one of the aspects of George Herbert’s poetry he most admired was its ‘open mind to uncertainty’. Some people, when they’re told they have terminal illnesses, start planning for after life: writing memoirs, completing their life’s work, sorting through their photo albums or whatever. Others think about anything other than death, and try to postpone the end in a feverish round of ever less plausible therapies. Ric’s response was a bit of both, and neither; he embarked on a poetic project, Writing in the Dark, which would he knew only be ended by death itself. And although he tried to postpone his last day with a succession of (plausible) treatments, he also looked death straight in the eye and calmly meditated on the passing of life. Indeed, he expressed gratitude that he had been given the chance to think closely about his own death, and to treasure each day as it passed. Ric knew how to live in the present. In the last years of his life he enjoyed dawn, sunset, cheese and whisky, just as he had in the decades before leukaemia. If anything, the approach of death gave the malt an added savour. He did however point out, wryly, that his most consistent and generous champion, Bob Creeley, was also an admirer of D. H. Lawrence’s poetry. Ric wanted approval for his work, for the work’s sake; he wasn’t an amateur or a dilettante. At the same time, he knew that fame wouldn’t make a pleasant difference to the day-to-day living that mattered most to him. ice bag on cheek bone. His family and friends have at least this consolation: that his poetry preserves so much of his voice. I hope that, as time passes — since ‘the intention, as ever, is to share pleasure’ — many more readers will gather to hear him speak. Checking my email after an absence, I found spam fizzing and bubbling in the e-pipe; the various net communities to which I belong busy; and one subject line, which became many examples of itself, as many blights are visible once one has seen the first, much the same from many listservs, the same words rising up the screen like a river flooding: Ric Caddel is dead. I slouched to the almost empty harbour. I found an isolated space and sat down. I stared at the low-tide. It isn’t that it was unexpected; but he bore his illness so well I thought he had a lot longer. He was highly and widely intelligent. He was perceptive and rational, delicately and disarmingly humorous. He seemed mild, yet was resilient and resistant. He cared very much for his family andhis communities. He was generous. He was courteous. What he brought to an exchange, formal or casual, was thoughtful and considerate. So many owe so much to him; and I among them. As listowner of British and Irish Poets List, he redefined ‘tact’. He brought us together. We all owe him for that, the founding of the list and the exemplary manner in which he ran it. And we owe him for his co-editing, with Peter Quartermain, of the anthology Other. But these are relatively recent gifts. I haven’t any of his books with me, so I shall make only a few generalisations of his poetry: I value it greatly - for its music; for its modernist propulsion; for its awareness of other poetries - it gets collectively better, I think, as the poet learns, though it always was very good; for its acumen and seriousness. I have learned a lot about Poetry from reading Ric’s; and, from the person, unawares, I picked up something of being among others, decently and with due but not excessive reticence. The more I knew of him, the greater my respect. By some measures, I hardly knew him; and he wasn’t the sort to smother you with personal information; but I am sure of my judgement. Years ago, I submitted a typescript to Ric as publisher, not realising that Pig Press had been closed - and we all owe him for Pig Press, too - which brought back an encouraging and unstinting letter, softening the necessary rejection. He took the time to write to me in such a way that I felt betterfor it even though he was rejecting the submission. That’s how he seems to have approached all of us. No one could have attained anything like For the fallen starting from the circumstances; and I remain almost over-awed by that achievement. There’s a lustre to it, a strong imagination, an inexhaustibility; and we all have that now despite what has happened to the brain which thought it. I’m writing this into a notebook, looking down on a stretch of wet sands, merging with distant sea, a little like those near the beginning of Powell and Pressburger’s A Matter of Life and Death. I’m sheltering up in the extensive towans. On the swamping sands, only my footsteps are being washed away. The wind is too cold for sane people. The Hayle River slides towards the sea; and, beyond that, more sands. Behind me, in a large earthworm s, the wreckage of industry, abandoned factories and cracking docks; and, occasionally, unspeaking people busy furtively near small fires. I used to go to Kent with my father when I was a child, the industrial bits where he made part of our living. I looked down through the holes in the floor of the lorry to and through the holes in the bridge connecting the main to the Isle of Sheppey and so through to the flowing river... And here I am now, thinking of Kentish Ric Caddel. It’d be easy to get sentimental about life and death in front of a forceful tide, in the midst of sands which have been burying the drudgery of humans for millennia. The transience of human life is a slippery diversion when one is in mourning. Brewing gush does not please me, nor Ric I should imagine... I have come here to be sure to be alone, to write this, to deal if I can with my grief. I’ve come here because, even on a dull day, it is impressive, including the metal and concrete litter which selfish entrepreneurs have left. Beauty’s a dangerous word to use. It’s a signal best avoided much of the time: not to abolish the idea, as if one could, but so that we have a clear one in good condition when it’s needed. Better to not always speak of beauty even when in front of it. Making beauty is a matter of balance; and perceiving beauty is a matter of testing. The naming is a later option. Balance, Ric certainly had balance, in his dealings with other people, in his editing, in his response to adversity, in his poetry-making. And when I think on all of that, and on a person I wish I had known better, I think I know enough to risk the use of a dangerous word to make due acclaim. We have lost a beautiful person and a maker of beautiful poetry. to tread through to never get over. to go into to never come out. Sweet Cicely: New and Selected Poems. Durham: Taxus Press, 1983. Uncertain Time. Newcastle upon Tyne: Galloping Dog, 1990. Larksong Signal. Plymouth: Shearsman, 1997. For The Fallen: A Reading of Y Gododdin. Bray, Co. Wicklow: Wild Honey, 2000. Magpie Words: Selected Poems 1970–2000. Sheffield: West House Books, 2002. Basil Bunting. Uncollected Poems. Oxford: Oxford University Press, 1991. Basil Bunting. Complete Poems.Oxford: Oxford University Press, 1993; reprinted, Newcastle upon Tyne: Bloodaxe, 2000 .
with David Annwn, in Prospect Into Breath: Interviews with North and South Writers, edited by Peterjon Skelt. Twickenham and Wakefield: North & South, 1991.
with Tony Flowers. Quiet Music of Words. Conversations with Tony Flowers. Sheffield: West House, 2002.
with Lee Harwood. Wine Tales: Un Roman Devin, Newcastle upon Tyne: Galloping Dog, 1984.
with Tony Baker. Monksnailsongs. Bray, Co. Wicklow: Wild Honey, 2002. It’s less than a month since Ric Caddel died, and I couldn’t have drawn together so many tributes to him without a lot of help — names and addresses, photographs, reviews, specific and general advice — especially from Tony Baker, Ann Caddel, Harry Gilonis, and Meredith Quartermain, and I thank them as I thank John Tranter for asking me to do this. I also thank, of course, not only those whose work is gathered here, but those, too, who sometimes in moving letters and brief notes explained that they could not, simply could not. ‘I find it impossible to write a poem,’ Maurice Scully wrote. ‘Ric would understand I think, I hope. He knew there was a weed called Dishonesty, & a flower called Grief. A climber.’ And he would in any case, as one after another reminded me, have viewed with considerable unease the sort of fuss, both public and private, that this gathering is. Yet the simple fact that over forty-five people came through (and I couldn’t reach everybody I wanted to), from all over the place — the Czech Republic, Estonia, France, Holland, Iceland, Italy, Japan, Lithuania, Poland, as well as Britain, Canada, Ireland, and the United States — says something, as does the fact that they managed to get into my hands, in less than three weeks, a collection of work that is, taken as a whole, both deeply moving and, let’s face it, quite inspiring. Ric stirred immense affection and love — he accepted you and what you did, that unquestioning but interested acceptance a liberation — is how he made you feel, but no he didn’t suffer fools gladly, he loathed civil servants and politicians, walked away, he contemned dishonesty. The words of his poems come out of silence, but it’s not an emptiness, a vacancy, it’s the silence of listening and looking, music always in there somewhere, heard but not heard, attending the world, its complex pleasures and instructiveness. That wonderful paragraph about thrushes and snails that Tony Baker quotes in the Memoir he wrote for Bill Griffiths’ Northern Review. The tape he sent me of Billy Pigg, along with a brief discourse on Northumbrian pipes, and what pubs and halls to hear them played. All those poets whose work I did not know. Those walks he told me to take, those months I was stuck in Collingwood College in early 1990, and where the pubs were. There’s always the pub, yes. So what a gift, the middle of March this year, for Meredith and me to get to Durham to see Ric and Ann, drink a little scotch, look at some books, talk about works before us, maybe hear some music. We knew he was ill with leukemia, of course, but we’d had positively to not cajole or beg but instruct and order him to tell us how he was — ‘Waiting to see’ or ‘Coming along nicely.’ Otherwise, silence on that score, or massive understatement, the shrug of wit. Never a breath of complaint. There’s a gap now, in the world, in my head, whatever, where I turn to him and he is not there, out there in Durham so many miles away, but his presence is simply everywhere, quietly peristent. Damn, we miss him, but no, he’s somewhere around. An astonishing amaze, for the ragged heart, that odd mix of joy and grief — like those snails and thrushes, we’re on both sides at once. And what a privilege too, somewhere in all this, to be pulling all these other people’s words into one spot, this necessary act for Ric. My thanks are heartfelt. Ann Caddel says Ric’s meaning was 1) lead kindly light; 2) clear light song; etc. ; Tony Flowers has it as 3) clear song enlightens. ‘It’s a bit like reading horoscopes or Tarot,’ she adds. When Ric and Ann visited Japan in October–November 2000, Ric expressed an interest in Japanese seals. Professor Akira Yasukawa, who as head of the Institute of Oriental and Occidental Studies at Kansai University invited Ric to Japan, had a seal specially cut for him. At the buffet meal following Ric's lecture on 15 November, Akira presented the seal to him.